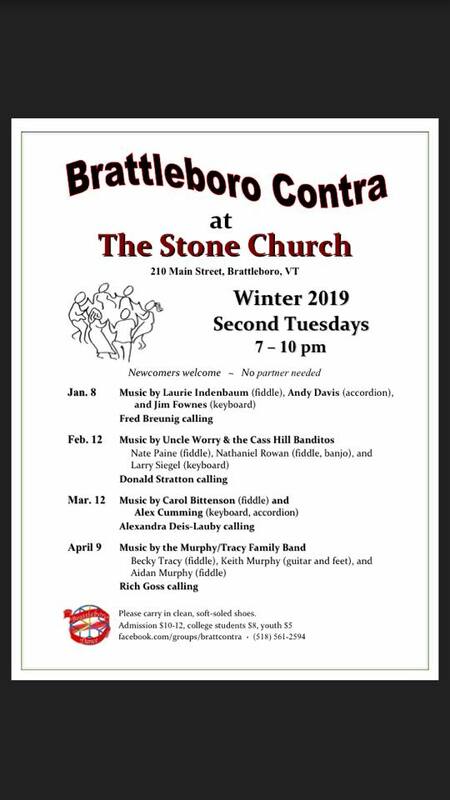 Join us for a wonderful night of contra dancing. Music by “Uncle Worry & the Cass Hill Banditos” (Nate Paine on fiddle, Nathaniel Rowan on fiddle and banjo, and Larry Siegel on keyboard). Donald Stratton from Burlington will be calling.